deSIGNery Sign Company is a supplier of high quality custom screen-printed domed automotive name plates. These thick decals will also adhere to most surfaces including curved, rough, smooth and soft. 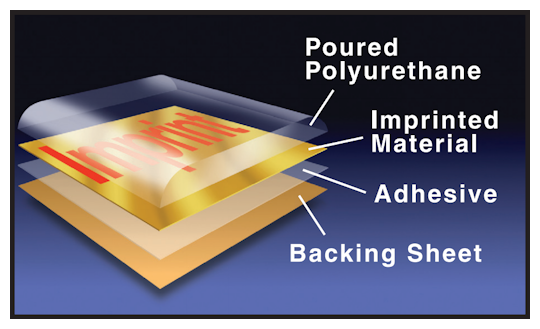 The polyurethane will conform to a variety of shapes. Our domed stickers will not discolor, crack or harden and is resistant to temperature and moisture extremes. Check out our Spring Sale for savings on Auto Ads and Custom Printed Domed Decals in the following link. BBB Member since 2004 with a proven record of complaint free customer satisfaction on items like Auto Ads and Custom Printed Domed Decals. Click on the BBB logo above to check our record or leave a customer review. At deSIGNerySigns.com we have more than 24 years experience in designs for our Custom Printed Domed Decals. Call us today and let our design specialists help create your next project to promote your product or business. FREE Shipping on all decal and sticker products | Free layout | A+ BBB rating | 24 years in the business | Call Today for a free quote on Custom Printed Domed Decals. Our domed decals can improve your image and brand recognition by "standing out" on the surface that it is applied to. deSIGNery 3-dimensional stickers, decals and labels are manufactured to meet or exceed automotive quality standards. The 3D appearance and depth will distinguish your company name or logo from your competitors thus enhancing your image to your potential customers. Let's be unique and WOW them with your personal thick 3-dimensional domed decal, labels, stickers. Now is the time to be different from your competition with this thick crystal-clear polyurethane sticker that will not yellow, is printed with UV inks, is durable, is resistant to scratching and will enhance your companies logo for years to come. These beautifully domed dealership decals are printed with UV resistant ink, which will provide you with a fade resistant decal for many years. After printing they are covered with a thick, clear, polyurethane coating that is flexible and allows the decal to be applied to slightly curved surfaces. Because of the longevity of our auto dealership name plates, we can save you significant time and money. This will insure you that your company three dimensional identification sticker will "stand-out" over your competition and will be noticed many years down the road. 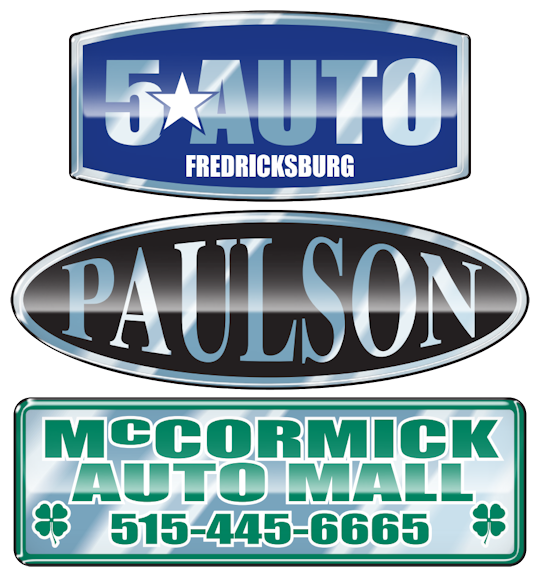 Not sure how our automotive dealership stickers will look on your cars? Again no problem! Our company provides our customers with a look at some free samples. Visit us at our contact us page and request a free sample. Have an idea? Send us a file of your layout or artwork and one of our sales associates will work with you on getting the perfect product for your needs. These auto dealership decals are not just for new car dealers, we have custom made these for used car dealers, motorcycle shops, golf cart shops, bicycle shops, and off-road quad dealers.